Pull up a chair, this is Fluxtaposed, episode 210, recorded on May 1st, 2018. On the docket today - IRL, It's GAME NIGHT, get caught up on Whatchuplayin’ featuring Infinity War and lesser junk. Finally, we will close out the show with the community grab bag and that sweet, sweet, awkward finish. Thanks for listening, thanks for watching, and enjoy the show! Want to support the show? Head on over to Patreon for all the deets! Episode 209 - Zicke Zacke, Zicke Zacke, Hoi Hoi Hoi! 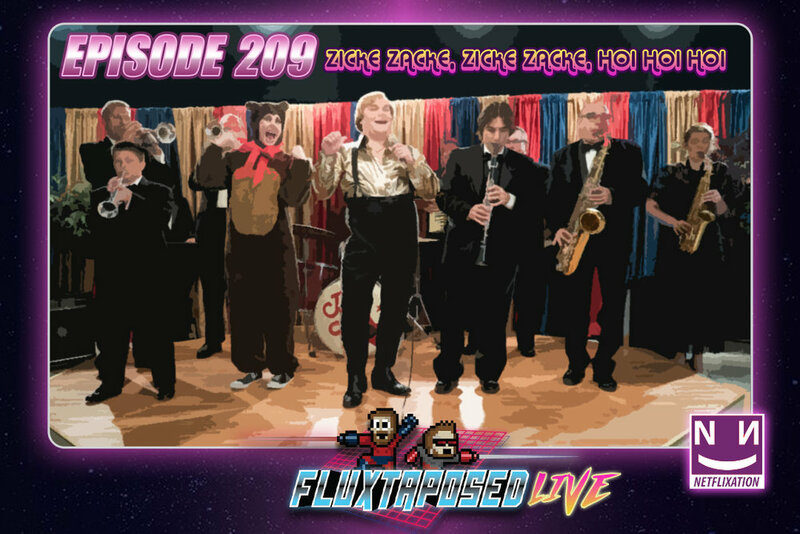 Pull up a chair, this is Fluxtaposed, episode 209 recorded on April 24th, 2018. On the docket today - IRL, Netflixation of “The Polka King”, get caught up on Whatchuplayin’ featuring A Quiet Place and Golf Story. Finally, we will close out the show with the community grab bag and that sweet, sweet, awkward finish. Thanks for listening, thanks for watching, and enjoy the show!